Me encanta! Es muy yo, sencillo y chic a la vez! 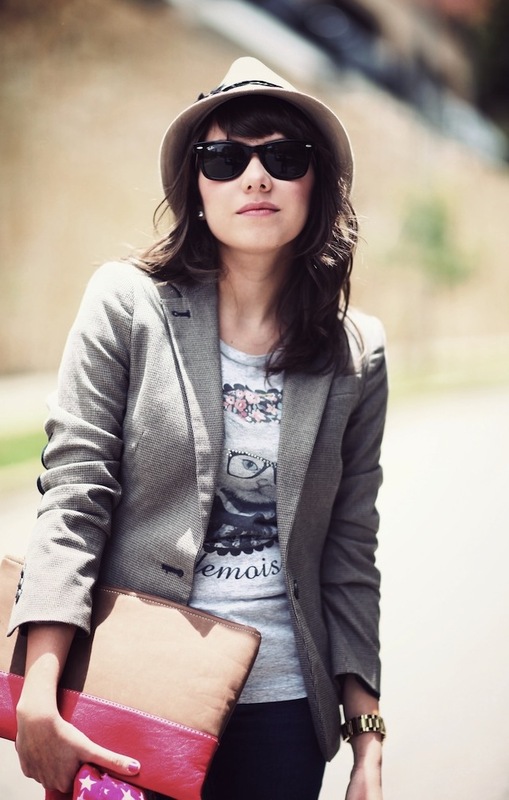 the blazer and shirt are both great! love them! 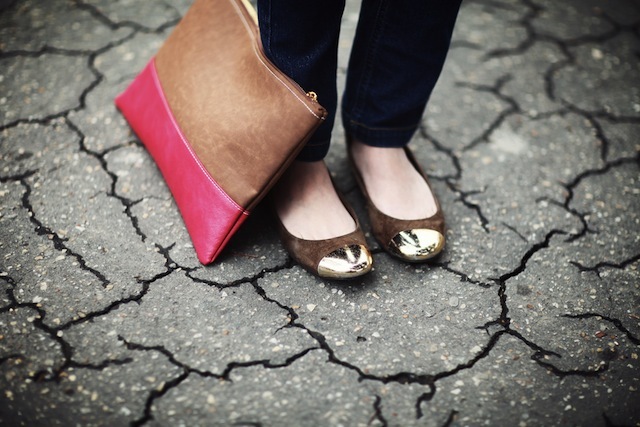 El blazer y los flats son definitivamente mis preferidos! nice post and nice you! have you seen my miriamstella blog? See the last outfit of Milano fashion week on my blog! and tell me what you think! I really like your blazer! Love your hat! You are so cute with that t-shirt! Oh me encanta el look! porque lo puedo copiar tal cual :) gran graaan idea! Casual pero siempre muy chic! El blazer es fantástico, y las bailarinas muy lindas, bonito finde! que guapa!! :D me encanta! Hi Luli!! thanks for your comment, surely we could follow each other :-) I started first, so wait you on my blog!! Amaaazing blog! All the photos are absolutely stunning. Please check it out and follow it (there's also a link to my bloglovin profile on my blog) and like my fb page http://www.facebook.com/rahelrahelrahel if you enjoy it. Hello, fantastic look, and your cluth is so cute. Your outfits are so amazing! Adoro tu cluth y tus zapatos!!! Great blog and great photos! I really like your style! I love your sense of fashion and I think that you're very stylish! Such a great use of color! Definitely liking how it's used in the accents as opposed to the main focus of the look. Great shoes, too. beautiful photos :) you look amazing ! you've got great blog ! Hi Cindy! thank for following me! mi debilidad numero uno son los blazers! y ese esta hermoso juli!! Muchas gracias por sus mensajes! Thank you so much for coming to my blog! al principio pensé: "oh me encanta el blazer" pero luego agregué a mis pensamientos: "también son los zapatos y el clutch"
Que tengas un bonito día. Love the blazer, my favorite piece. Me encantó tu estilo!! El sombrerito fue mi favorito! Ya te sigo y me pongo al corriente en los post anteriores! Me encantó descubrirte!! LOVE this outfit! 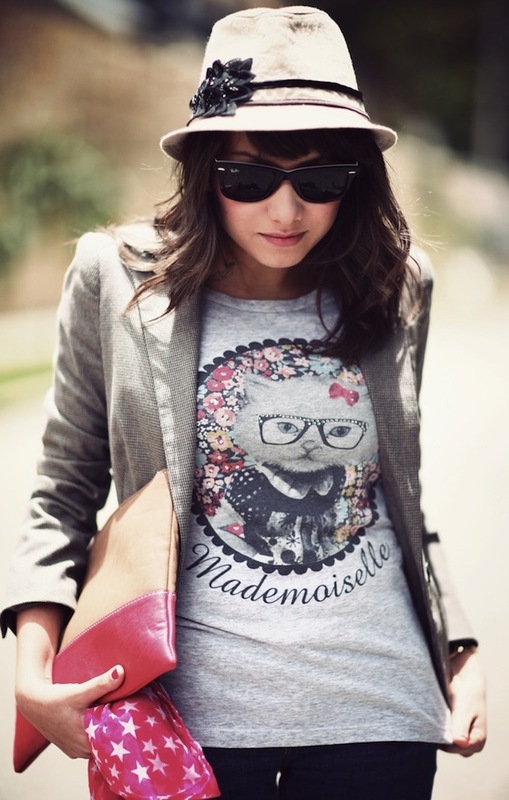 i adore how chic you made that adorable tshirt look! i love all the photographs on your blog...they're so large & clear! you're my new favorite blogger! hi!really good blog!follow us if u like our blog and we will follow you too! No comento mucho pq siempre es para decir lo mismo pero aunque siempre digo lo mucho que me gusta tal o cual cosa no he felicitado al fotógrafo. La maquetación del blog, la calidad de las fotos... podría ser cualquier sitio, nosé. Esta realmente muy bien.